“I have always been passionate about Art. I was elected class artist for the class of 1967 at Holyoke High School and chosen for a summer tutor program at the Museum of Fine Arts in Boston. A full and wonderful life took up my time and now that I am retired I am able to resume my old passion. Inspiration for this show comes from a lifetime of my photos taken on vacation with my family on Cape Cod and shore. Sara Karz Reid is a photographer based in Deerfield. Originally from outside of Rochester, NY, the home of Kodak, she took photography classes in high school, but is otherwise self-taught. She studied geology and archaeology as an undergraduate, and later earned a doctorate in anthropology. While excavating in Petra, Jordan for her dissertation research she began to use her down time to explore the area, camera in hand. Tad Malek’s experience in photography was originally rooted in the traditional color landscape, connecting with the contemplative solitude of remote natural environments. His current series of Environmental Portraits moves into a new direction of photographing almost entirely in black and white. 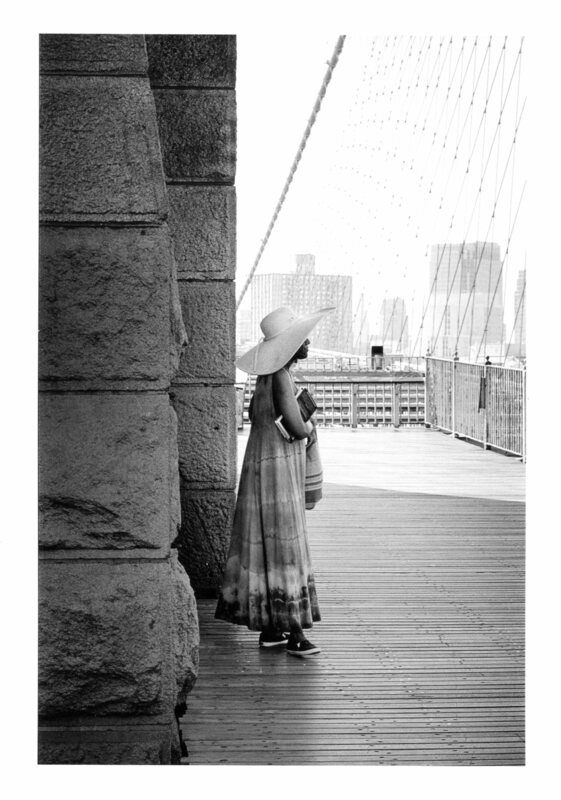 This is partly inspired by his urban roots of growning up in New York City as well as his admiration for the work of such photographers as Alfred Sieglitz, Fan Ho, and Vivian Maier. Also on display in February will be a selection of photographs from the archives depicting people at work in and around Northampton over the past 125 years. Each month during Forbes Library’s 125th anniversary year, a variety of images and objects from the Library’s local history collections will be featured.